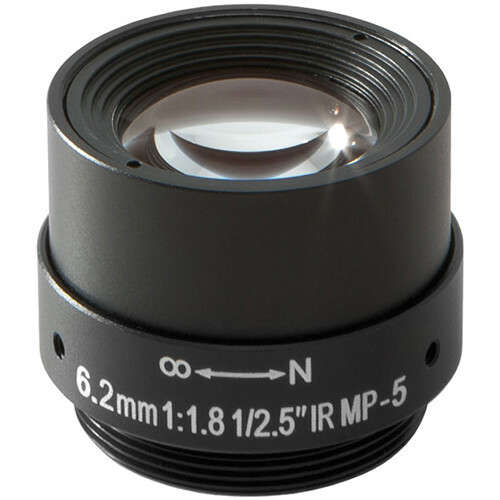 The CS-Mount 6.2mm Fixed Focal Megapixel Lens from Arecont Vision can be used with the Arecont Vision MegaVideo Series cameras with 1/2.5" format sensors. The lens is IR corrected and features a fixed iris. Box Dimensions (LxWxH) 2.3 x 2.1 x 2.1"